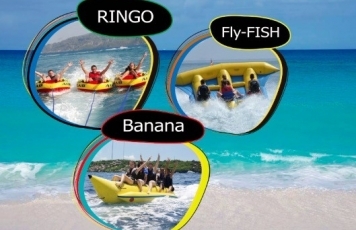 Fly fish ride - Similar to the banana boat, but this ride is a bit more intense as it is designed to jump out of the water whilst being pulled along as high speeds just like a 'fly fish' does! This adrenaline ride is not to be missed! 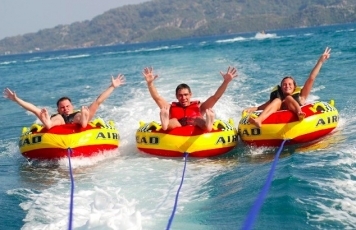 Ringo- A single sit down donut-like inflatable ride. Super fast, Super wet and super adrenaline! Wanna try? 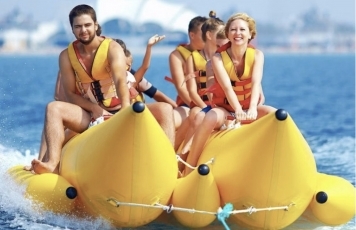 This ride is very good because you are only, 50 centimetre from the sea also in constant jumping and going from one site to other site in the sea. 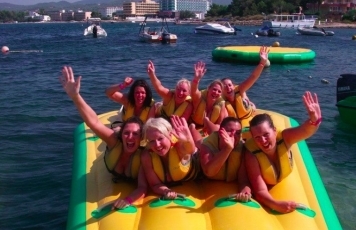 Welcome to Ibiza Wakeboard School. 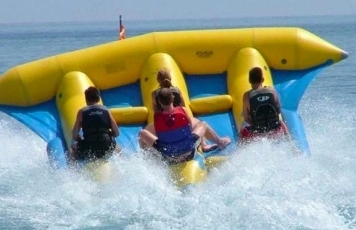 Learn to Wakeboard, Wakesurf, Wakeskate or Waterski. 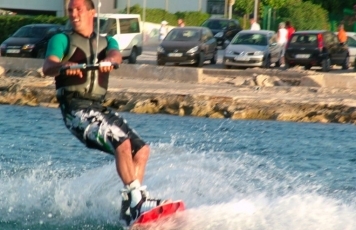 If you want lessons or already know how to wakeboard, we are here to take you out on the water and have a great time Trust a certified instructor who will share his passion for this sport and teach you the right technique. All levels of skill are welcome. 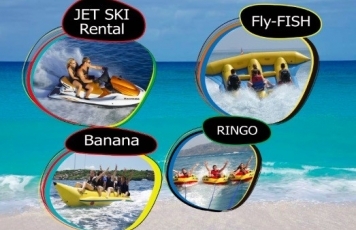 With this pack we offer three activities, Any three inflatables to choose on the day, example, Banana Ride, FlyFish, Tornado, Sofa,Ringo,Flash Fly, Colchoneta etc. You can choose to do all in the same day ( 45 minutes ) or you can split it on two different days as you wish. We offer pick up on San Antonio por for free.